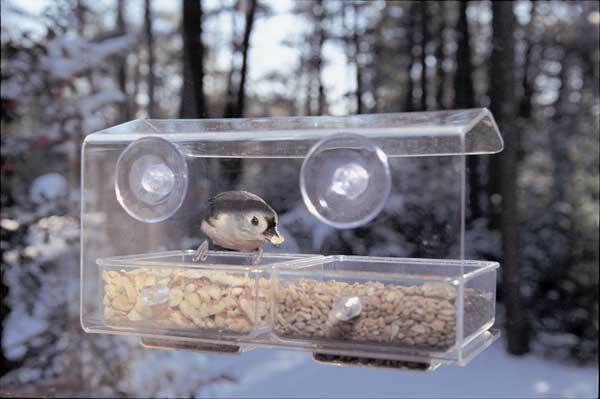 Instal this unique window feeder in your home to bring birds in for close up viewing! Patented deluxe model opens completely into the house. Features a removable seed tray for easy cleaning. Hinge latches which are on both sides of the feeder make it possible to open inside the house while it is still in the window. 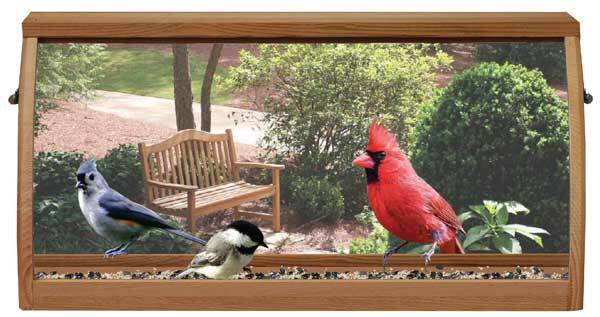 Mirrored panel made of plexi-glass allows for up-close bird watching. Fits windows up to 47.75 in width via cut to size extension panels. Dimensions: 26" x 13" x 8"
UV stabilized polycarbonate- won't yellow with age. 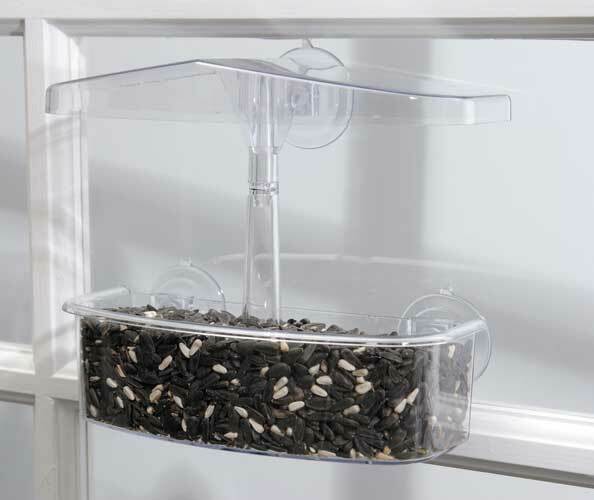 3 high quality suction cups hold feeder securely. Dimensions: 4" x 6.63" x 8.25"